Used car warranties aren't always the best deal, and neither are so-called "extended warranties" on electronics such as computers, but when it comes to copier warranties you should always get one. Read on to learn why you should purchase a refurbished copy machine with a warranty.If you are looking to purchase a new or used copier but are concerned about the quality of local service, a copier warranty is the only way to ensure peace of mind with your purchase. Although you should always ensure that your refurbished copier is coming from a good place (most come from short term rentals, off-lease contracts, sales demos and corporate downsizing) and is in good condition (most have been used for less than three months), a warranty will ensure that if anything happens to it, the labor and parts will be covered.So why even bother purchasing refurbished discount copiers if you're so afraid about its condition you need a warranty? Copier machines are a lot like cars. As soon as they "leave the lot" they severely depreciate in value. But also just like cars, most times a used copy machine is just as good as a new one - in fact, it most likely as been rarely used at all.Because you can buy a refurbished copy machine at such discounted prices, you or your company will be able to afford a much better, top name brand copier than you might be able to buy otherwise.Buying a certified used copy machine is just plain a smart business decision. It will provide your company with the productivity it requires for many years down the road, but it won't come with the inflated costs of a brand new copy machine.When looking for a refurbished copier, it's important to find a reputable company to do business with. You want to only buy from a company with an A+ rating from the Better Business Bureau, and of course, ensure that they provide some kind of warranty with your new copier. Most companies will automatically provide a limited warranty (such as covering the first 90 days), but the best choice is a company that offers an extended warranty. The warranty should cover parts and labor, as well as cover all major circuit boards, motors, and scanning units.Don't pay full price for your office copy machine. Purchase a refurbished copier with a warranty and guarantee years of good service for up to 75% off MSRP. 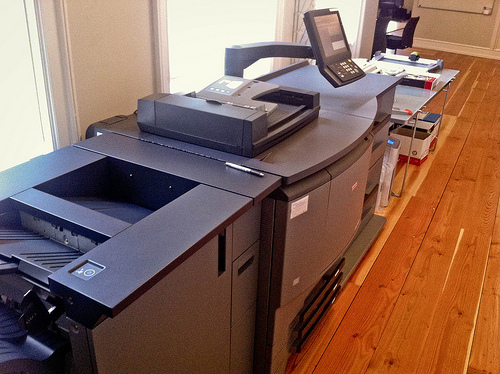 Xerox Laser Printer Repair Amherst – We’ve been providing business copiers for a long time, and over the years, the most common complaint we hear about typical copier sales people is that they are pushy, fast-talking, and might as well sell used cars instead of copiers (no offense, car guys). When it’s time to buy a copier, customers are often presented with complicated agreements, hard deadlines, limited time offers, and extra features they don’t need! 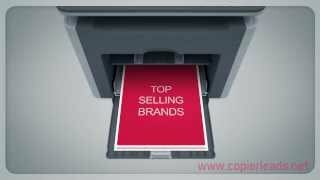 This leaves you with an over priced, over hyped copier. Don’t pay extra! Choose a fully loaded multifunctional unit for printing, copying, scanning, and fax – or something more basic. There are many options to choose from, enabling you to custom outfit your copier to meet your exact needs for your wireless network, Ethernet, duplex printing, wide format, or other special needs. We also have repair service and toner cartridge consumables available too, for monochrome and color copiers. 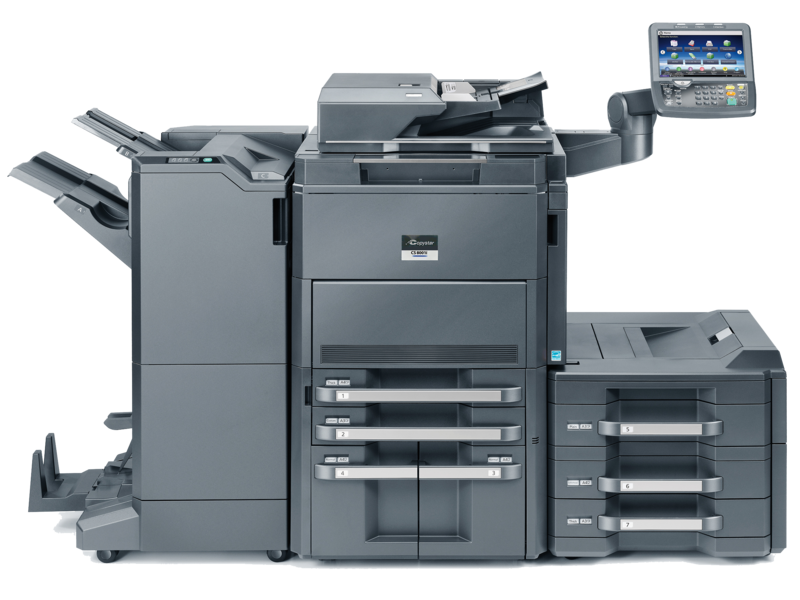 What's The Difference Between A Refurbished Copier And A Used Copier? Great paying St Louis Sales Jobs are beginning to be very elusive in today's economical environment. In fact, good sales jobs throughout the country are becoming harder and harder to find.Finding straight commission jobs are in abundance but usually are pie in the sky when it comes to actually making what you may have seen in the classified ad. High income is always touted but usually never obtained. Much of this is because, in order to reach their income goals, one must be a one of a kind salesman. Unfortunately, most sales people are not willing to go to the extreme and work unlimited hours to obtain the high income. Going that extra mile is what an entrepreneur is made of.There are great straight commission jobs but it is important to evaluate and research the company you are applying to work for. Straight commission St Louis sales jobs are similar to those around other parts to the country; they are plentiful but often not what one was expecting.If you do look into a straight commission sales job, make sure you interview the person hiring you. Do not assume they are being straight with you on their income projection. These types of jobs have high turnover and it is the nature of the business to make the job seem awesome and easy but in reality if they hire 50 sales people, 2 or 3 might make it.Usually, these types of St Louis Sales jobs are on the bottom of the totem pole when looking at the overall quality one might be looking for. Some examples of straight commission jobs are vacuum sales, cook book sales, cable TV sales, copy machine sales, home improvement sales, and the list goes on. Much of these can be cold calling and door to door or business to business cold calling.If you are willing to work hard a straight commission job usually will provide more income that a base pay plus commission job. A base pay job offers a safety net but you are generally giving up potential earnings for that safety net.There are a variety of straight commission jobs that do have extremely high potential and give you the ability to make what you are worth. Real Estate and Insurance sales are two that offer a high potential of income. Unfortunately, most sales people can't work independently and have a hard time being a tough boss to themselves to get the job done and produce that life long income in these two professions.One must research thoroughly each of the St Louis sales jobs they are applying for to protect themselves from a major let down. Know what you are looking for and make sure you don't choose a job just because someone promises you a large income. Remember, if it sounds too good to be true... it probably is. 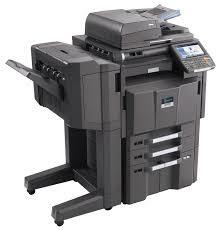 Looking for Xerox Laser Printer Repair Amherst? I just went to my bookshelf and there it was, a small worn out book that I have probably read at least seven or eight times. It is The Greatest Salesman in the World by Og Mandino. This is the story of the life of Hafid, a camel boy, who became the world's greatest merchant during the time of Christ. Every time I pick the book up, I read it cover to cover without putting it down, as it is one of the most touching stories I have ever read. About twenty years ago, I bought the book on the advice of a sales manager. In fact, I worked in several unrelated sales professions, in my past, ranging from copy machine sales to investment banking. In every sales position I worked, this book come up as a must read. It has become a classic read for all sales professionals. Within the story of Hafid's life, he reveals a chest containing ten scrolls, each containing a principle or law that, when mastered, will lead to great success in the art of selling. Today, I find enjoyment as a success coach in the network marketing industry. As I pulled this, my favorite of all books, from the shelf, I realized that I must recommend it to those in the network marketing industry. Although, it has become legendary in traditional sales professions, its principles and laws are equally as valuable to network marketers. The scroll that I remember above all others is the Scroll Marked II. The theme of the scroll is, " I will greet this day with love in my heart".. It explains how love is the greatest secret to success in all ventures. Later, in this scroll, we are instructed on how we should act with each person we come in contact with. We are told to say, silently and to our self " I love you", to everyone we meet. Those who have achieved success in network marketing, understand that ours is an industry of giving. If we want to succeed ,we must care about others. The scroll Marked II is all about caring for others. Og Mandino, in the most entertaining of stories, gives us the principles we need to succeed. We’ve also got you covered for copier service, too. Our trained technicians will provide you with prompt, professional service on your office copiers. From one copier to an entire fleet, our service programs and maintenance agreements are customizable to fit your exacting needs.